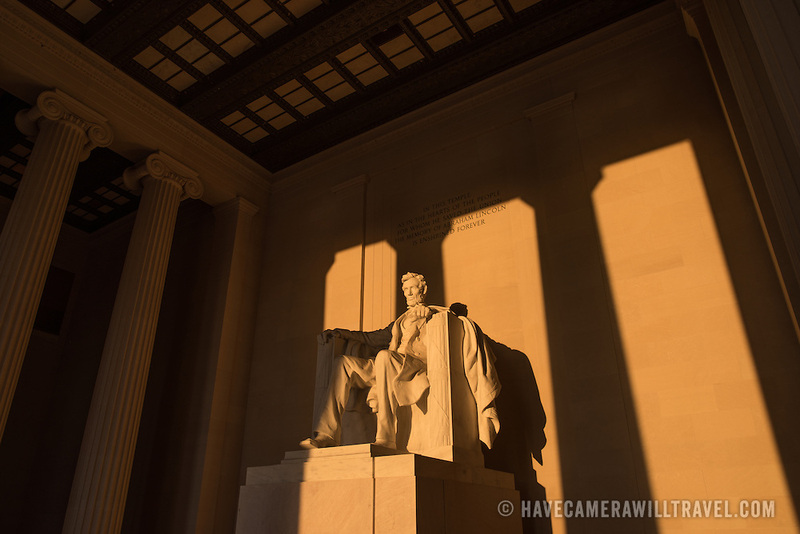 WASHINGTON, DC--Around the time of the spring and fall equinox, with the sun rising directly in th east during that time, the rising sun shines in directly on the statue of Abraham Lincoln inside the Lincoln Memorial. Standing on the western end of the National Mall in Washington DC and next to the Reflecting Pool looking towards the US Capitol Building, the Lincoln Memorial was dedicated in 1922 and is one of Washington DC's most famous landmarks. The large marble statue of Abraham Lincoln that sits inside was designed by Daniel Chester French and carved by the Piccirilli Brothers.